3-room apartment 76 m2. Renovated in 2015, beautiful and cosy furnishings: living/dining room with 2 beds (90 cm, length 190 cm), satellite TV and radio. 1 room with 1 double bed. 1 room with 2 beds (90 cm, length 190 cm). Open kitchen (oven, dishwasher, 4 ceramic glass hob hotplates, electric coffee machine, Capsules for coffee machine (Nespresso) extra, fondue Set (cheese)) with dining table, satellite TV and radio. Bath/WC. Floor heating. Balcony, south facing position. Terrace furniture. Very beautiful view of the mountains. Facilities: hair dryer. Internet (WiFi, extra). Reserved parking. Please note: non-smokers only. Apartment block "Amici", 1'590 m a.s.l., 4 storeys. Outside the resort, 1.5 km from the centre of Saas Grund, in a quiet, sunny position, 1.5 km from the skiing area. For shared use: lawn for sunbathing. Barbecue, children's playground (slide, swing, sandbox). In the house: storage room for skis, central heating system, washing machine, tumble dryer (for shared use, extra). Motor access to the house. Parking at the house. 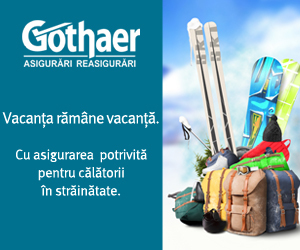 Shop 1.5 km, restaurant 150 m, bus stop 100 m. Cable car 1.5 km, gondola lift 1.5 km, skisport facilities 1.5 km, slopes 1.5 km, ski school 1.5 km, cross country ski track 50 m, ice field 1.5 km. Please note: the owner lives on the same property. There are more similar properties for rent in this same residence. Please note: Non smoking house. Internet available: CHF 20.00 / week. 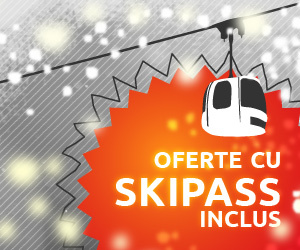 With the guest card you get various discounts at the cable cars as well as free regional buses in the Saas Valley. 1 parking place included, additional on request. 4-room apartment 105 m2 on 2nd floor. Renovated in 2015, modern furnishings: living/dining room with satellite TV and radio. Exit to the balcony, south facing position. 1 room with 2 beds (90 cm, length 190 cm). Exit to the balcony, west facing position. 1 room with 2 beds. Exit to the balcony, south facing position. 1 room with 2 beds (90 cm, length 190 cm). Open kitchen (oven, dishwasher, 4 ceramic glass hob hotplates, microwave, electric coffee machine, Capsules for coffee machine (Nespresso) extra, fondue Set (cheese)) with dining table. Bath/WC, shower/WC. Floor heating. Balcony, south facing position and west facing position. Terrace furniture. Very beautiful view of the mountains. Facilities: hair dryer. Internet (WiFi, extra). Reserved parking. Please note: non-smokers only. 1-room apartment 30 m2. Renovated in 2015, beautiful and cosy furnishings: living/dining room with 2 beds (90 cm, length 190 cm), satellite TV and radio. Open kitchen (oven, dishwasher, 4 ceramic glass hob hotplates, electric coffee machine, Capsules for coffee machine (Nespresso) extra, fondue Set (cheese)) with shower/WC. Shower/WC. Floor heating. Balcony or terrace, south facing position. Terrace furniture. Very beautiful view of the mountains. Facilities: hair dryer. Internet (WiFi, extra). Reserved parking. Please note: non-smokers only. Interior photos are accommodation example. 3-room apartment 65 m2. Renovated in 2015, beautiful and cosy furnishings: living/dining room with satellite TV and radio. 1 room with 1 double bed. 1 room with 2 beds. Open kitchen (oven, dishwasher, 4 ceramic glass hob hotplates, electric coffee machine, Capsules for coffee machine (Nespresso) extra, fondue Set (cheese)). Bath/WC. Floor heating. Balcony, south facing position. Terrace furniture. Very beautiful view of the mountains. Facilities: hair dryer. Internet (WiFi, extra). Reserved parking. Please note: non-smokers only.